Delicious creamy chocolate flavour fudges! This delicious fudge has been handcrafted with dark chocolate rich in cocoa, for a delicious chocolatey flavour. This traditional British candy has been crafted from milk, butter, and brown sugar. Very much appreciated with tea or coffee. Since then, the family business has been focusing on local ingredients and choosing them with the utmost care to create high quality products. They are cooked in large covered copper cauldrons, which respects the good taste of the ingredients and provides a very pleasant texture. Traditional recipes are still used but Cottage Delight remains in search of innovative tastes. 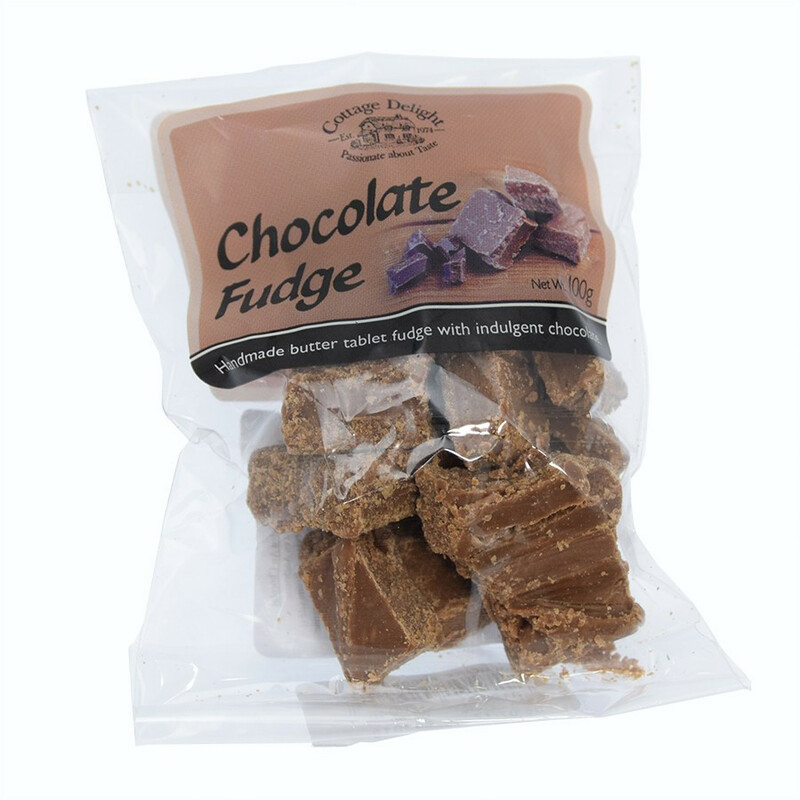 Cottage Delight, acclaimed in England, has been rewarded nearly 170 times, which proves the beautiful quality of its products. Ingredients: sugar, evaporated milk, salted butter (from milk) (7%), glucose syrup, vegetable margarine (vegetal oils (rapeseed oil, palm oil), water, salt, emulsifier: Polyglycerol esters of fatty acids, colours: annatto, curcumin, flavouring), dark chocolate (4%)(cocoa mass, sugar, cocoa butter, fat reduced cocoa powder, emulsifier: soya lecithin), cocoa powder. Once opened, store in an airtight container in a cool, dry place.